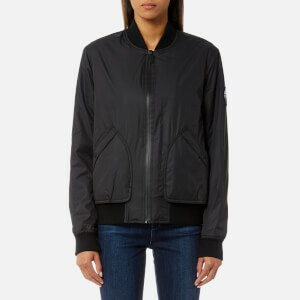 Women's adidas shell jacket; designed in collaboration with English fashion designer, Stella McCartney. 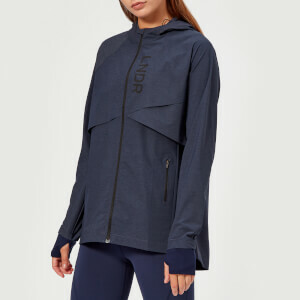 Crafted from lightweight fabric with tonal scuba panels, the 'Train' jacket features fold-down collar with adjustable rear drawcord, a two-way, central zip fastening and ribbed cuffs and hem. 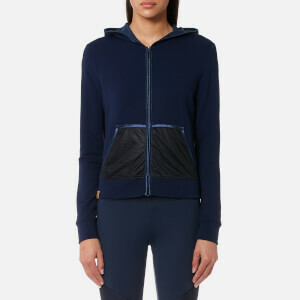 Complete with two zipped pockets to the front and perforated detail to the back for enhanced ventilation.